At a high level, it brings the power of Relcy’s layered query interpretation technology, and hundreds of millions of entities and action links in our entity graph to the fingertips of every Slack user. 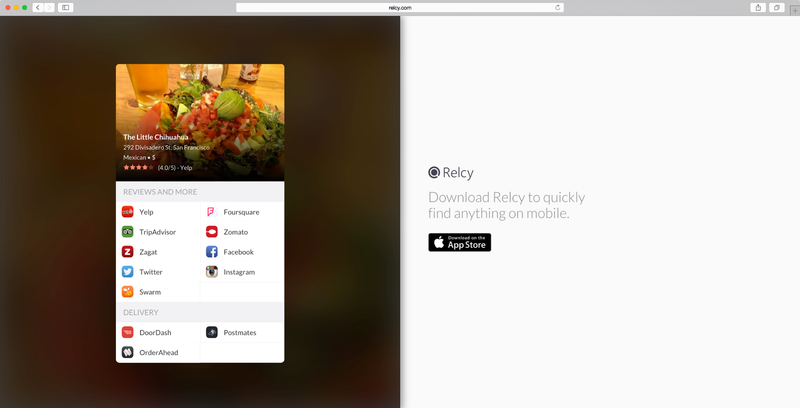 Regardless of whether they’re on mobile or desktop, whether they have the Relcy app installed or not, all of the action links are surfaced through our entity cards to enable one-click actions on any platform. The real question is, how does this integration benefit Slack users? Well, it means that at 11 AM when your stomach is growling and you’re convincing yourself that the morning workout has earned you an early lunch, you can just type ‘/relcy,’ followed by your favorite local burrito place (we suggest “The Little Chihuahua”) to your coworkers. With just a single click, they gain immediate access to the best apps and information to perform any number of actions to get you to that burrito. We have to admit, we didn’t just do this integration for you. After all, we are avid Slackers here in the Relcy office! Thanks to the embedded search functionality, our Slack channel #beats (our music sharing group), has completely come alive. Up until now, it has been a pain to share songs because we all have different preferences — some of us use Spotify, others use Apple Music, and a few rely on YouTube. Thus, there hasn’t been a universal song link that works for everyone. Now, Relcy provides that universal link in Slack, enabling each person to click once and launch the shared song in the music app of their choice. 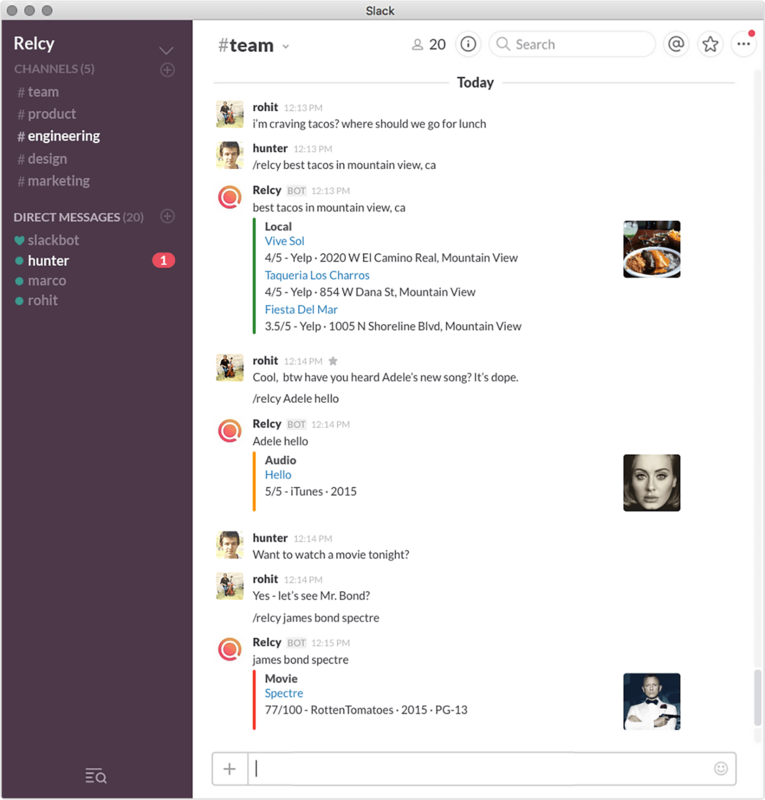 Relcy’s integration with Slack is another step in the future of search within messaging and we are looking forward to hearing what you think!